Vw and bike show in its 3rd year! Two music zones, karaoke, silent discos and live discos. Over 15 bands - white tyger and time of the mouth headlining. Circus of horrors performing. Over 1000 tickets sold already. price: Pre-book: £25, by 14th September. OTG: £30. Teens £10. Day tickets £5. Kids and dogs free. Third annual Ride to Save Lives. 62 mile ride out starts at Newark Showground across the counties of Lincolnshire and Nottinghamshire, through rural villages and the beautiful countryside. Refreshments including hot food available and raffle. Ride out starts at approx 11am until 1pm. The opportunity to meet the crew as the helicopter plans to fly in around 1.30pm. price: Pre-book: £12.50, by 5pm 21st September. OTG: £12.50. RTSL bike badge. All money raised will help the charity to save lives 365 days of the year. It doesn’t matter if you drive a Enduro motorcycle, a sport motorcycle or a touring motorcycle or how much experience you have. The slogan of the rallye is: 2 Days of Fun! The rallye is for motorcycles only and the participant will ride mostly on paved roads. Further more we will organize some special tests as well as some off-road sections which will require your skills, but also require a pinch of luck. Perfect are motorcycles with which you can easily drive a 200 km day trip through this unique part of the Pyrenees as well as a few kilometers on simple off-road tracks. The rallye will be organized in a way so that you can finish in a good position even if you don’t like to ride the off-road sections or the special test. For the final we will set up another tricky challenge with our own off-road motorcycle for the top riders. price: Rallye only: €65 (by 30th April), 1st of May- 15th of August: €75. Then €85. Rallye accommodation; Camping (1 person, motorcycle and tent): €30. Camping (1 person, motorcycle and tent) + half board: €80. Bungalow (2 persons): €165. Bungalow (2 persons) + half board: €260. Small wooden house (2 persons): €95. Small wooden house (2 persons) + half board: €190. Barbecue evening on the 11th of September. price: Pre-book: £15, by 24th August. OTG: £20.Cars £5.00, vans etc £10.00 must be pre-booked due to limited parking. Blue badge holders free. Free rally badges for first 50 pre-booked - £3 charge otherwise. Weekend camping with, 4 live bands 1 of which has had 2x number 1 hits in American rock chart. Trade stalls, cheap bar, rock dj, great food vendors, ice cream van, bouncy castle and inflatables. price: Pre-book: £12, by 30th August. OTG: £15. Cars are welcome pre book only due to space charged at £5. Blue badge free again pre book only. 1,000+ privately owned and club vehicles on display. Full concours overseen by leading commentator Les Clayton, trade and autojumble stalls, children’s entertainment and quality food and drink options. Almost to the date of the fire, we want to show that Manchester is strong with two great chosen charities in mind all profits split equally. There is food and refreshments, stalls, trophies and much more to see. Custom motorbikes or what ever you ride bring it down! With a special VIP guest coming to judge on the day. In Aid of Muscular Dystrophy Duchenne & Manchester Dogs Home. venue: Manchester Dogs Home, Crofter's House, Moss Brook Road, Harpurhey, Manchester, M9 5PG. 11am - 4pm. price: Donation on the gate would be kindly accepted. Free live music in the bar area. BBQ outside on the decking area with seating. 4 large car parks. Opens 5pm till late. Live music all weekend undercover in the barn with The Trollbangers headlining Saturday night. Further bands to be confirmed. Lighting and Sound By L & M Productions. DJ, Food, Licensed Bar, Motorcycle custom show, camping with shower block and disabled facilities, limited electric hook ups. price: Pre-book only: £20. Cars must be pre booked too at £20. No vans due to limited space. ? An exhibition inside the Town Hall at Cheltenham dedicated to the finest customs, classics and rare racing bikes. Trade stalls and workshops. price: Pre-book: £7.95, by 8th September. OTG: £10. Under 16's free. Come and join a fun ride to raise funds for The Olive Branch Foundation, registered Charity No. 1139292. Via a round-about route, accessible to all riders. At the destination - Oak Trees, Morval, there will be a pasty and refreshments for all involved. Please notify your attendance on the facebook event or text Philip on 07817 990230 - this will help in the planning of refreshments. venue: Lee Mill Industrial Estate, Devon, PL21 9PE - leaving at 11am. Finishing at Oak Trees, Morval, PL13 1PR. price: No fee, but donations and sponsorships welcome. 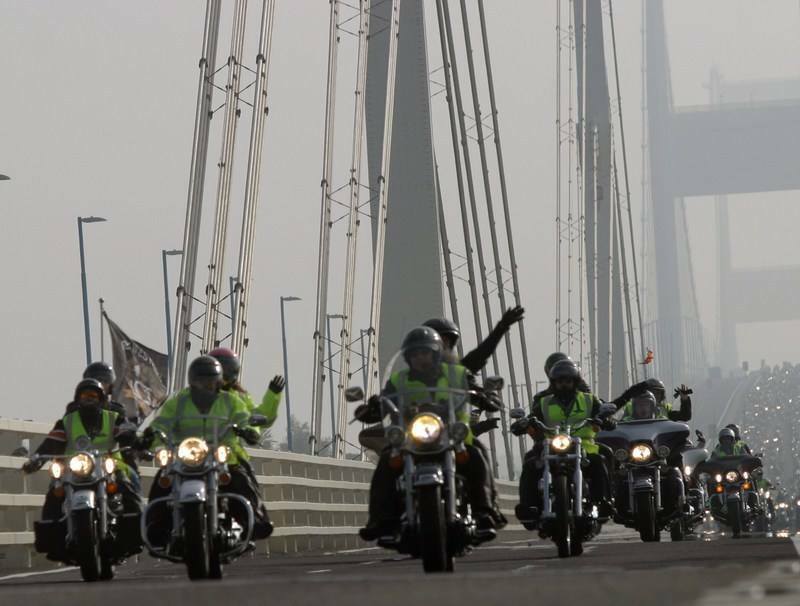 Join the infamous Essex & Herts Air Ambulance Motorcycle Run from Ford, Dunton to Harwich. Pre-registering will place you in the first two groups to leave on the day and with over 3,000 expected to join, you will definitely not want to miss the opportunity to be the first to leave! The Family Fun Day will be a day of unbeatable entertainment beside the seaside. Enjoy everything from live music, to a kid’s zone, and trade stands on Harwich Green. Entry to the Harwich Family Fun Day is for free, however this year they are asking for a £5 donation to help host the fun filled day of entertainment, as well as to keep your local Air Ambulance operational. They can’t fly without you. venue: Leave from Ford Dunton, Dunton Ford Link, Dunton Technical Centre, Basildon, Essex, SS15 6GB from 11am. Finish at Harwich Green for Harwich Family Fun Day. 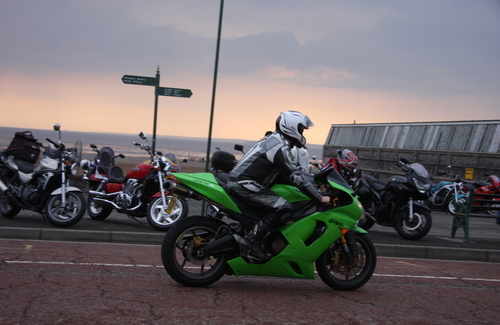 price: £10 per rider / £15 per rider + pillion. £40 sponsored rider ticket. £45 rider + pillion sponsored ticket. Pre-registration closes 31st August. Entry to the Harwich Family Fun Day is for free, however this year they are asking for a £5 donation to help host the fun filled day of entertainment, as well as to keep your local Air Ambulance operational. East Sussex Advanced Motorcyclists are having a special Open Sunday with demonstration of electric bikes from Zero Motorcycles. 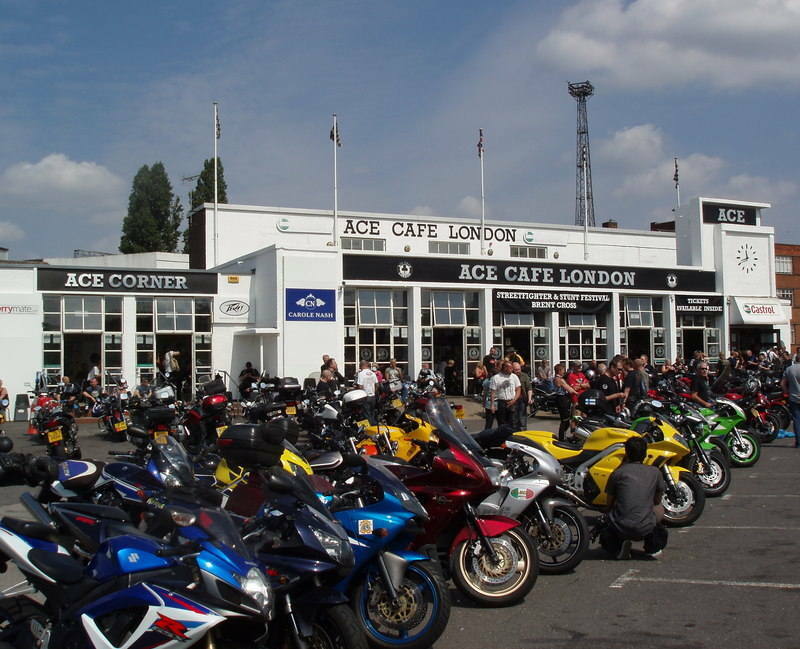 BBQ and refreshments will be available and the ESAM reception will be able to assist anyone thinking about joining ESAM and training for the Advanced Motorcycle Test. Qualified ESAM Observers will be available to take any potential new members on a free observed taster ride. The HISS (Highly Informal Sojourns in Spain) has no fixed groups or ‘teams’, no set itinerary or objectives, no ‘competition’ and above all no ‘Johnny-no-mates’! HISSites roll into the venue as and when they please – the is no paperwork or ‘pack drill’ other than checking-in with the accommodation (not included in price). On Day 1, i.e. the Monday – ideally at 9am - a presentation of the HISS materials, i.e. the Monster Maps and Guides. These serve to make sense of the .gpx files of the HISS trails and road routes that is mailed out a few weeks beforehand. The idea being that riders learn how to use their expensive Satnavs. After the briefing groups of riders select various trails and string them together to make up their days itinerary. Help is given, offering advice on terrain, the weather conditions and how these may affect the trails (HISS locations have varied landscape and climate zones within the ‘territory’) and, if asked, point out trails that may be too ‘technical’ for some riders and/or their bikes. Live music throughout the weekend with headline acts from Skatonics and Ignition. Full bar with a ton of beers, ales and spirit. Enter the bike show and win a gorgeous trophy and be in running for the cash prize. Prizes to be won with silly games. So put your underwear on the outside of your tights, make a cape from the living room curtains for our superheroes theme! New venue for the 2nd rally. Cheap beer, tribute bands - Friday Priest Unleashed & Saturday Motorkill, including rock disco both nights. 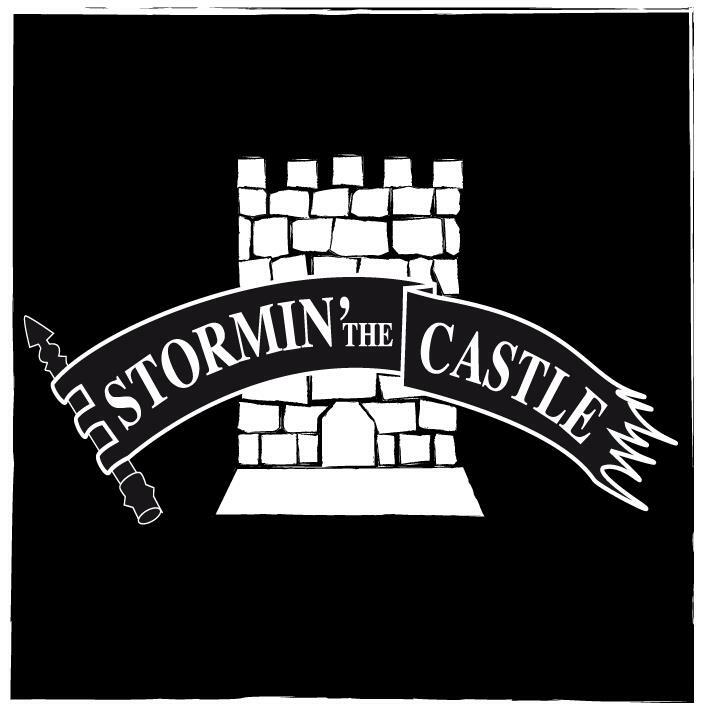 Trade stalls, silly games, food vendors, custom show with great trophies for category winners, raffle, etc. price: Pre-book: £20, by 31st August 2018. OTG: £25. Early booking advisable. Children under 16 free, but parents take full responsibility. No caravans or motorhomes. Cars allowed on field to offload only, then parked in a designated area. Dogs allowed but must be on a lead at all times and clean up after them. 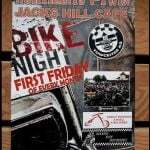 Jesters MCC annual rally. Live bands each night, real toilets, food, full bar. price: Pre-book: £12. OTG: £15. Cars strictly at discretion of Club Chairman. Blue badge holders free, all others £20. A rally for female motorbike enthusiasts only. It doesn't matter what type of motorbike, trike or scooter you ride, as long as you love them, and you're a woman! This first Motorbike Women South Rally aims to bring like-minded women riders together to have fun, talk motorbikes, encourage and support each other and raise some money for two great charities. The rally is unique in that it is for women riders only. price: £25. Goody bag for each rallygoers. Merchandise coming soon. No cars. Over 18's only. The first Triumph Bonneville was produced on the 4th September 1958. No-one could have foreseen their cult following and that they would still be made today. The Triumph Owners Motorcycle Club is celebrating 60 years of the Bonneville and all are welcome (TOMCC members or not). Pre-booked Bonnevilles will gather together in what could be the largest assembly of Triumph Bonnevilles ever. 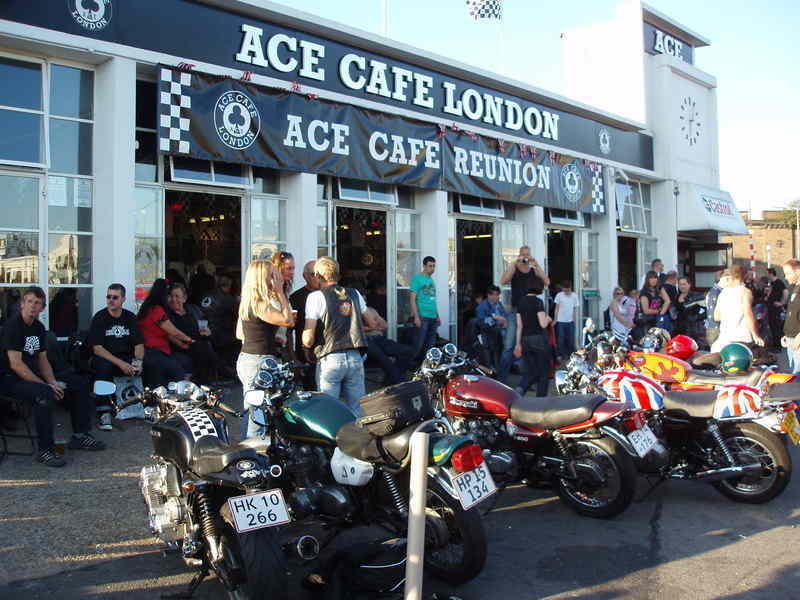 The event includes merchandise stands and the Triumph Factory, who will have their displays and demonstrations and engineers who will give talks on the development of the current Bonneville range. For those stopping over there is camping and bands on the Friday and Saturday evening. Uttoxeter Racecourse is an ideal site and has easy access. Pre-booking is advised. price: Pre-book: £18 (plus a small booking fee) up to 13th September. OTG: £22. All prices include camping. An entertaining two day event with something for all the family, whether you arrive on 2 wheels or 4, at the spectacular Fleet Air Arm Museum. Exhibitors include main motorcycle and car dealerships, advanced riding groups, emergency services inc Police horses. Slow riding competition plus 50% discount on entry to the Fleet Air Arm museum. Come along and explore the options available to you to enhance your riding skills. Restaurant and children's play area. Stalls, charities helmet drop, learners corner. Show 10am - 4pm. Setting off from Thruxton Motorsports Circuit, the home of the Hampshire and Isle of Wight Air Ambulance airbase, and finishing at The Sammy Miller Museum in the New Forest. All proceeds will go to Hampshire and Isle of Wight Air Ambulance. price: £10 per rider, £5 per pillion. Register in advance and receive the route map prior. Please note only cash payments on the day. The HISS (Highly Informal Sojourns in Spain) has no fixed groups or ‘teams’, no set itinerary or objectives, no ‘competition’ and above all no ‘Johnny-no-mates’! HISSites roll into the venue as and when they please – the is no paperwork or ‘pack drill’ other than checking-in with the accommodation (not included in price). On Day 1, i.e. the Monday – ideally at 9am, a presentation of the HISS materials, i.e. the Monster Maps and Guides. These serve to make sense of the .gpx files of the HISS trails and road routes that are mailed out a few weeks beforehand – the idea being that riders learn how to use their expensive Satnavs! After the briefing groups of riders select various trails and string them together to make up their days itinerary. Help is given, offering advice on terrain, the weather conditions and how these may affect the trails (HISS locations have varied landscape and climate zones within the ‘territory’) and, if asked, point out trails that may be too ‘technical’ for some riders and/or their bikes. Camping, Bands in the marquee, Real Ales, Caterer, Traders, Ride-out on Saturday returning in time for the free to enter bike-show with 10 Trophy categories. Disabled welcome, a few camper-van spaces available (book in advance recommended). 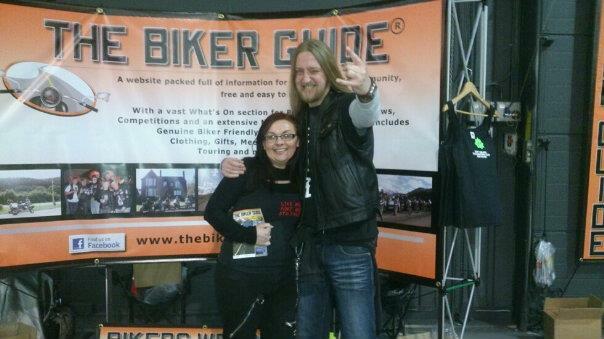 Independently run by volunteers; profits to charities: Bloodbikes and Motorcycle Outreach. price: On the Gate price: £5 cars including entry. £3 per person per bike. Children free. Third annual Ride to Save Lives. 62 mile ride out starts at Newark Showground across the counties of Lincolnshire and Nottinghamshire, through rural villages and the beautiful countryside. Refreshments including hot food available and raffle. Ride out starts at approx 11am until 1pm. The opportunity to meet the crew as the helicopter plans to fly in around 1.30pm. Charity show supporting The Fire Fighters Charity with classic and interesting bikes and cars, supported by the Cheshire Fire &Rescue Services and Cheshire Constabulary. On site catering and bar available all day. Club stands available. price: Free entry - just donate generously to the charity collectors on the day. The final night for 2018 of the weekly bike meet on Poole Quay. Motorbikes ranging from rare customised classics to the latest models are on display. As well as the chance to show off their machines. Live Bands on Friday and Saturday night, cheap bar, Stalls and trophies. Traditional Bike Rally set in the South Lakes. 8th year, with 900 attending in 2017. Live music, food, bikes, drive a steam loco for a fiver, simulated car driving in a crash. Run by the Leighton Buzzard Railway and the Royal British Legion Riders. Squires Annual bike show event. Lots of attractions on site and entertainment in the cafe. On the Saturday there will be a stunt show. Live band on Saturday night. Sunday is the 'Classic Bike Show' with trophies given at 4pm. 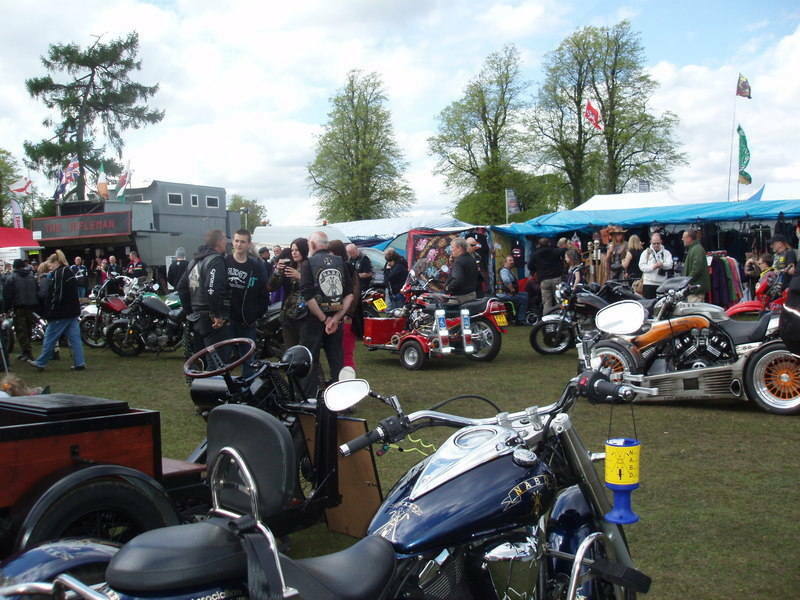 The North Manchester Custom & Classic Bike Show is back for the 8th year running. 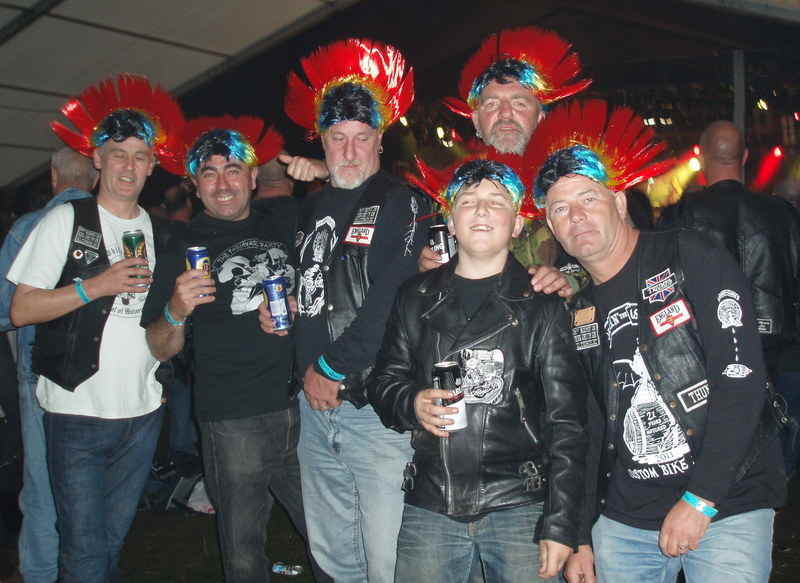 With multiple show catagories, trophies to be won, a wide variety of stalls and hot food vendors, an onsite bar, and fantastic bands all day to boot, this event is both biker and family friendly. At only £5 per person, and kids under 14 going free (when accompanied by a full paying adult) this has to be one of the cheapest, cram packed events of the year. price: £4. Free entry for under 14 when accompanied by a full paying adult. Start off at 11am in the Brightside Group PLC car park behind Severn view services, junc 1 M48 on the English side of the Old Severn Bridge near Bristol. It then takes a route through several towns and villages and finishing at a new location of the fantastic grounds of Caldicot Castle. Approx 3500 bikes! Local Accommodation. venue: Start @ Brightside Group PLC car park behind Severn view services (BS35 4BH) and finishing at a new location of Caldicot Castle. price: This is a charity event, with various donations for stickers, t-shirts and commemorative pins to gain you entry. venue: Camping Isabena in the pretty town La Puebla de Roda, Ctra. Graus-Viella km 27, 22482 La Puebla De Roda, Huesca, Aragon, Spain price: Rallye only: €65 (by 30th April), 1st of May- 15th of August: €75. Then €85. Rally accommodation; Camping (1 person, motorcycle and tent): €30. 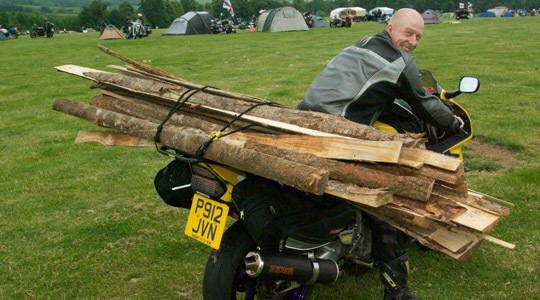 Camping (1 person, motorcycle and tent) + half board: €80. Bungalow (2 persons): €165. Bungalow (2 persons) + half board: €260. Small wooden house (2 persons): €95. Small wooden house (2 persons) + half board: €190. Barbecue evening on the 2nd of September.